Electrically driven Automated Guided Vehicles (AGVs) have become an integral part of advanced logistics facilities, navigating themselves through factories, warehouses and container terminals. For automated logistics systems running without operator intervention - a key component of Industry 4.0 and indeed Logistics 4.0 - recharging the AGVs needs to be carried out autonomously. For this purpose, an automated quick charging system called QCC (Quick Charging Connection) has been developed by Stäubli Electrical Connectors. The QCC uses the company's proprietary Multilam technology, which ensures the connection between the contact surfaces remains consistent over the whole of the connector's lifetime, producing constant, high efficiency power transfer. An integrated self-cleaning mechanism allows high currents to flow continuously without requiring additional cleaning or maintenance. The connector is rated at over 100,000 mating cycles - enough for many years of continuous operation. 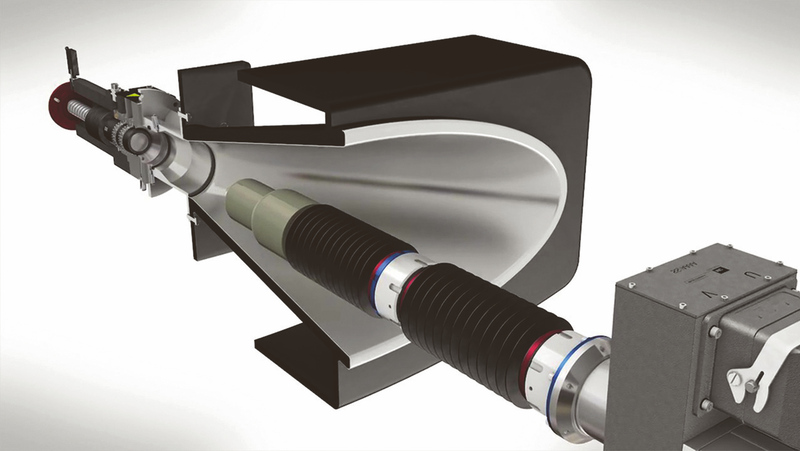 With a high tolerance to angular and positional misalignment, the compact system is versatile and easy to integrate. As well as charging, it can carry data communications for the higher level software that controls and monitors the charging process. A high level of safety is provided, as all live parts are protected against direct contact, whether connected or disconnected. The power and signal contacts are not exposed until the connection is fully mated and the electronic release occurs to start the charging process. Its watertight IP55 design prevents significant contamination and water penetration. An optional automatic self-cleaning system using compressed air will remove any foreign matter to ensure reliable, low maintenance operation, both indoors and outdoors.